I’m currently in the process of Migrating a customer from an on-premise Windows Server 2003 Small Business Server to an Azure based Windows Server 2012 r2 Datacenter with Windows Server Essentials experience installed. Part of that migration process is clearly going to involve moving all of the shared data from the current server into Azure. This customer has a Draytek 2860, which although not an officially support Azure device has no problems connecting to Azure. 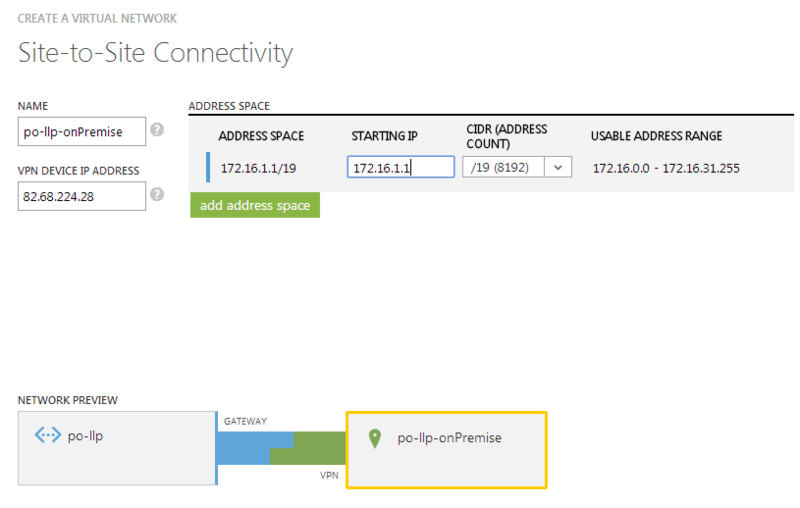 The main frustration I found when building the site-to-site connectivity between Azure and the Draytek firewall is that neither end has any useful log files that you can look at to aid in troubleshooting, it either works or it doesn’t. Having been through the same exercise recently using a SonicWALL firewall which has extensive logging the process is much easier. Anyway, here is how to do it. 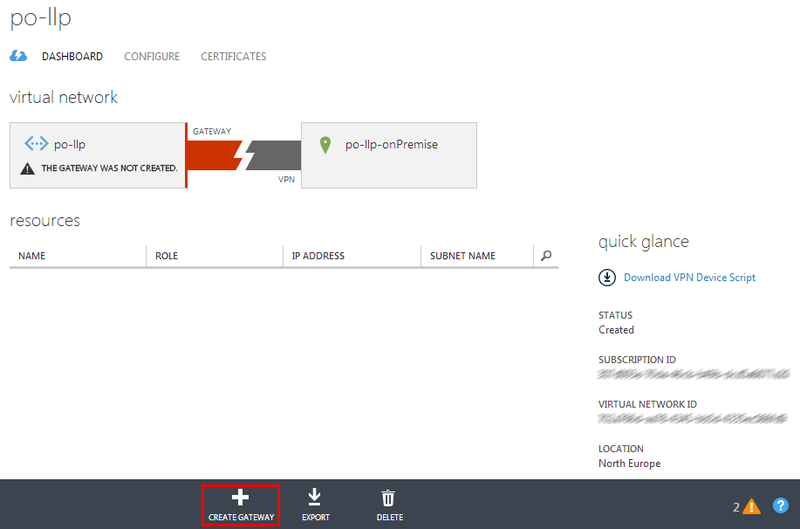 Because I am somewhat new to Azure, and I am assuming that others reading this will be to, I am going to go through the steps required to build the virtual network from scratch and eventually join the Draytek router on. I’ve chose to create my network in the “North Europe” data center location as I am based in the UK and I believe that North Europe is in Dublin, Ireland. Next I ticked the box to “Configure a site-to-site VPN”, but here is an important note, do NOT tick the box that says “Configure a point-to-site VPN”. If you do this then the Azure network will use dynamic routing instead of static routing and you will not be able to get your Draytek to connect. (If you do manage to, please let me know how you did as I spent a while trying to get it to work!). On the next screen you will have to name your local network and specify the public IP address of your Draytek router. 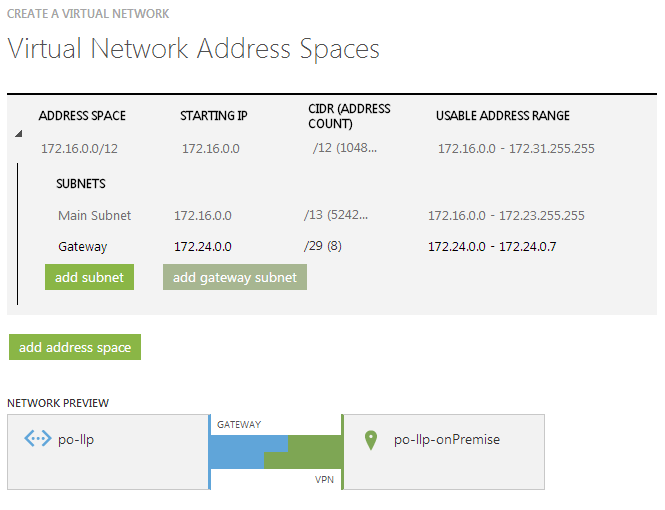 In addition you will need to tell Azure the details of your local subnet. In my case the existing local network is a 192.168.250.0/24. 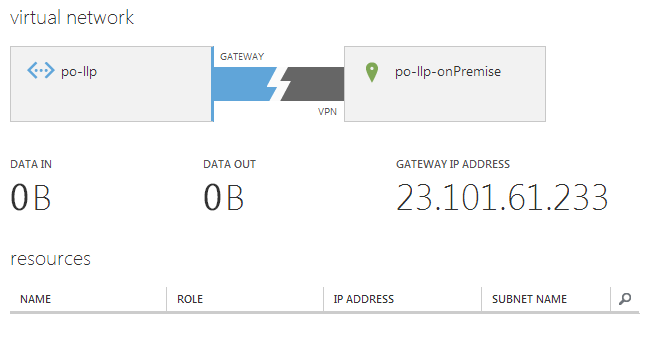 After you have defined a subnet for use in Azure you will need to click on “Add gateway subnet”. Once you are all done click on the tick to finish the virtual network creation process. Wait a short time and you should see when the virtual network has been created. Once the network has been created you can go into the network dashboard and finish off the remaining steps. 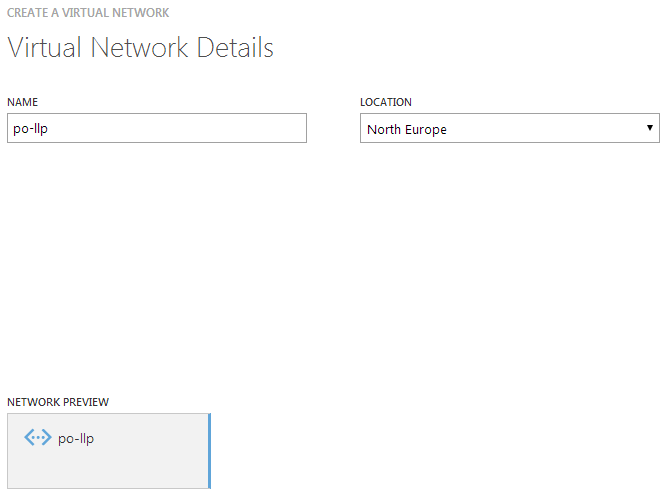 Click on the “Create Gateway” button to make an external interface to your Azure Virtual Network. Again making sure to select “Static Routing” in order for it to work with your Draytek router. Now you have completed all the steps required at the Azure end, time to head over to your local Draytek. 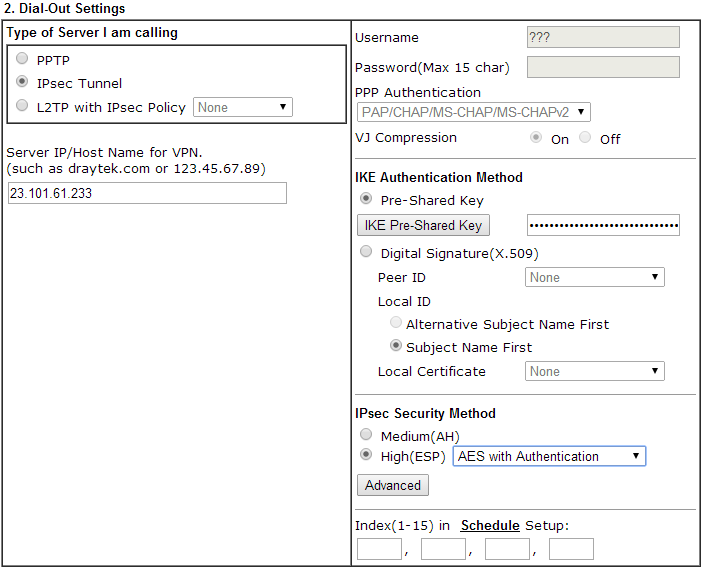 Once logged in to your Draytek head to “VPN and Remote Access” and then “LAN to LAN”. Choose an empty profile to begin the configuration. Give your VPN Profile a name, and set the call direction to “Dial-Out”. Tick the “Always on” check-box. Ignore sections three and four and move on to the bottom section 5. 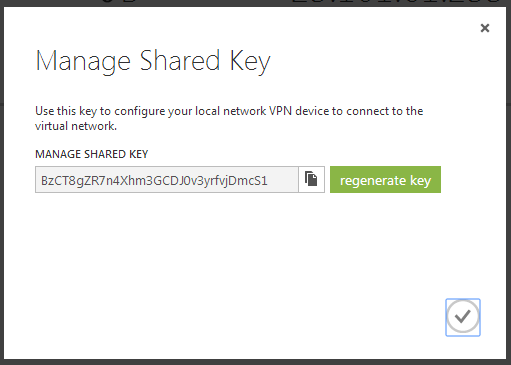 Save the profile by clicking on OK and then go to “VPN and Remote Access” again and then to “Connection Management”. 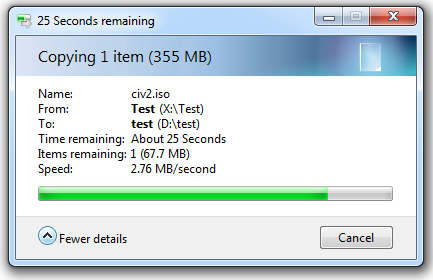 I consistently got around 1.75MB/second upload, which is pretty much the entire upload capacity of my broadband line. 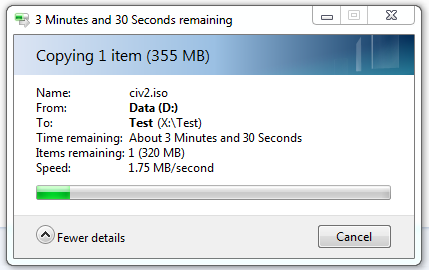 The speed downloading from Azure was faster than the upload, but not all that fast really. 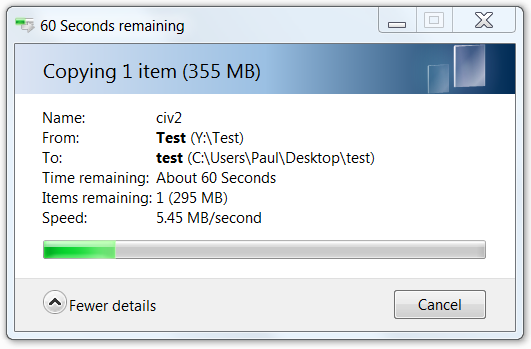 I have an 80mb connection and would expect Azure to push data out quicker than that, so I checked the CPU usage on the Draytek. 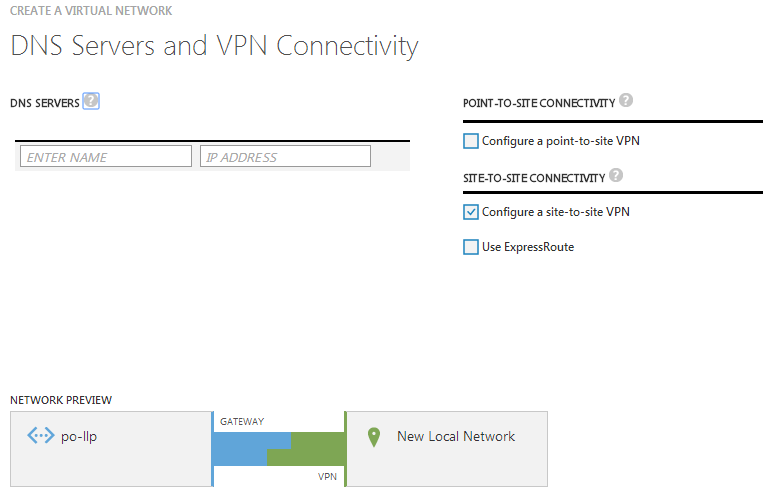 The VPN performance is a really important factor to consider when choosing what device to use to connect to Azure, with internet connections becoming increasing fast you might be surprised to find that your existing device may not have enough muscle to handle your full bandwidth. This is a script that I posted to the Draytek forum a couple of years ago, I noticed that it has been a very popular post so I have decided to post here also. The function of the script is to perform scheduled reboots of Draytek routers. Optionally is it possible to reboot the router only if a specified IP address does not respond to a ping request. This is useful to test if a VPN connection is functioning, and only reboot the router if there is no response. Early Draytek firmwares had a tendancy to lose VPN connectivity and a reboot is the only way to restore the connection. The 3rd argument will be tested for a ping response, if none is received then a reboot will be executed. wscript.echo "Invalid number of arguments specified"
wscript.echo "Please specify router IP address & password and optional test IP"